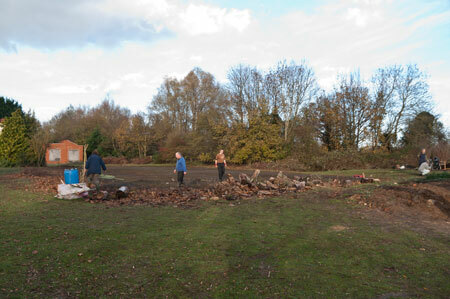 A selection of photographs taken of the sixth Community Work Day, 19 November 2010, organised by the Northmoor Trust, at Thrupp Lake. 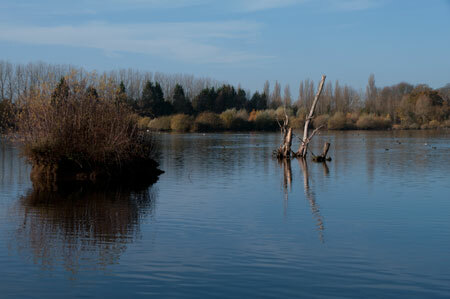 Another georgeous day, perfect weather to spend some time helping the Northmoor Trust down by the lake. 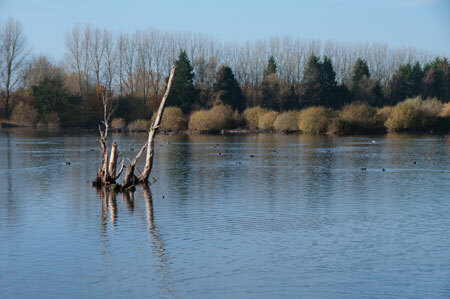 This is the iconic dead tree at the SE corner of the lake. It has been a prominent feature of this landscape for over five years. 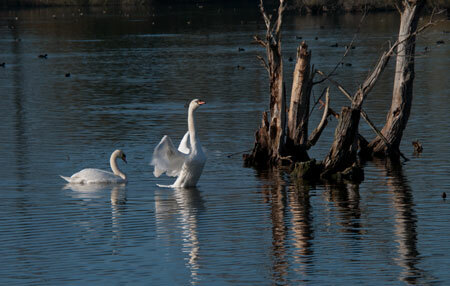 Two of the many mute swans currently on the lake. The main task of the day involved taking down the chainlink fences at the SE corner of the lake. Not an easy task, as, over the many decades of their existence, the fences had become totally entangled with the vegetation, and sections of it, having long since collapsed, had become buried in the ground. 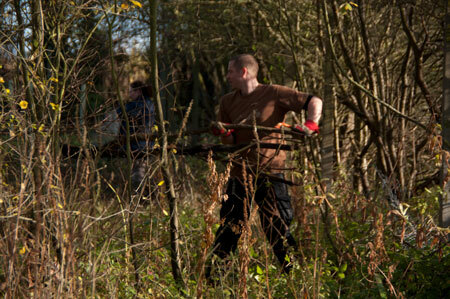 Clearing vegetation away from the fence line. The fence around tennis court has now been cleared away. 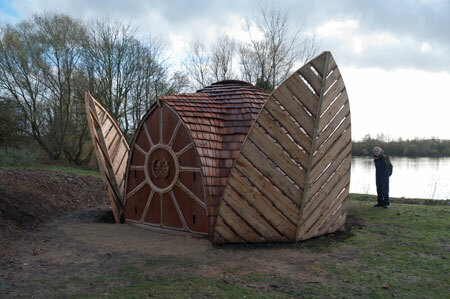 The shelter, now complete at last. The final event of 2010 was held on 14th December, a grey December day, but nevertheless dry and not too cold. A small(ish) bonfire was lit and the large pile of brambles and brushwood cut down in the preceding weeks were dragged onto it and burnt. When this was done, most of the remnants of the fencing etc that had been torn down were loaded onto a trailer and a skip and removed. Some of the bits of fencing were simply too heavy to shift, and these have been left until suitable mechanical assistance can be made available. During the tea break, the work party enjoyed some tasty mince pies kindly provided by the Northmoor Trust. Later that month, a few of the Leylandii conifers on the western bank of the lake were cut down to open up the views and let in some light to the avenue beyond and to provide timber for the later construction of a bird hide.